Camille Saint-Saens was the French composer and organist who wrote the opera ‘Samson et Dalila’. This biography of Camille Saint-Saens provides detailed information about his childhood, life, achievements, works & timeline. Camille Saint-Saens was the French composer and organist who wrote the famous opera ‘Samson et Dalila’. A major musical figure of the Romantic era, he was also a very successful pianist and a knowledgeable scholar of music history. He was a child prodigy in music who gave his first concert at the tender age of ten. 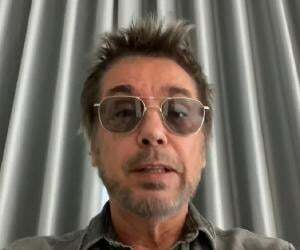 Furthering his passion for music he studied organ and composition at the Paris Conservatory and went on to pursue a career as an organist at the famed Church of the Madeleine in Paris. A meeting with the celebrated Hungarian composer and teacher Franz Liszt led to an enduring friendship over the course of which Liszt guided and influenced the budding career of the younger Saint-Saens. Over the years he made a name for himself as a brilliant pianist and composer and established himself in a thriving freelance career. He was much sought-after not only in his native France, but also in other European countries, Britain and the Americas. 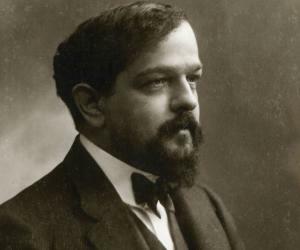 He also held a teaching position once, and even though he taught for less than a period of five years, he left a deep impact on the development of French music. In spite of his illustrious professional career, his personal life was not a happy one, consistently marred by familial problems. He was born on 9 October 1835 as the only child of Jacques-Joseph-Victor Saint-Saëns and his wife, Françoise-Clémence in Paris. His father was an official in the French Ministry of the Interior. 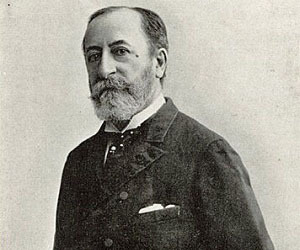 Unfortunately Victor Saint-Saens died of an illness shortly after the birth of Camille. Thus he spent his childhood with his mother and her widowed aunt, Charlotte Masson, who taught the young boy the basics of piano playing. He became a pupil of Camille-Marie Stamaty when he was seven and received excellent training from him. He started displaying his genius from an early age and his mother soon recognized his potential. He had all the traits of a child prodigy but his concerned mother did not want him to become too famous too soon. Therefore, she restricted the number of public performances he gave. Even though he started performing in front of small audiences from the time he was five, he made his official public debut years later at the age of ten. Camille proved to be an outstanding student at school and excelled in many subjects like French literature, Latin and Greek, and mathematics. He also developed lifelong interests in philosophy, archaeology and astronomy. He enrolled at the Paris Conservatoire, France's most important music academy, in 1848. There his student compositions included a symphony in A major (1850) and a choral piece, ‘Les Djinns’ (1850), to a poem by Victor Hugo. He accepted a position as an organist at the Church Saint-Merry where he worked for four years before moving on to the celebrated Church of the Madeleine in Paris in 1857. By the time he was in his early twenties he had already written and performed his first and second symphonies. Along side his duties as an organist he also embarked on his career as a piano professor at the Ecole Niedermeyer between 1861 and 1865. One of his pupils, Gabriel Fauré, later on became a renowned pianist in his own right in the future. He played a key role in the creation of the National Society of Music in 1871 which promoted performances of the most significant French orchestral works of the coming generation. His first symphonic poem, ‘Le Rouet d’Omphale’ (Omphale’s Spinning Wheel), was also produced in the same year. During the 1870s his music gained international prominence after he undertook a series of European tours to promote his music. He became the most famous French composer of his time with his operas and concerts. A dedicated traveler, he also toured Africa, the Middle and Far East, Russia, and South America. 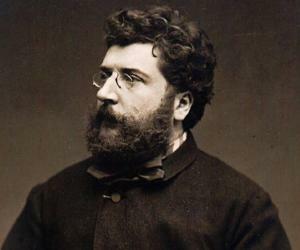 He was elected to the French Institute in 1881 and over the next 20 years, nine of his new operas were premiered. He lived a long life over the course of which he wrote several operas, composed piano pieces, and also wrote criticism, poetry, essays, and plays. He is best known for his ‘Samson et Dalila’, a grand opera in three acts based on the Biblical tale of Samson and Delilah found in Chapter 16 of the Book of Judges in the Old Testament. First performed in Weimar at the Grossherzogliches (Grand Ducal) Theater on 2 December 1877, it is his only opera which is regularly performed. He was made a Chevalier of the Legion of Honour in 1867. Later on, he was promoted to Officier in 1884 and Grand Croix in 1913. He also received several foreign honors including the British Royal Victorian Order (CVO) in 1902. In addition he is the recipient of honorary doctorates from the universities of Cambridge (1892) and Oxford (1907). He lived the life of a bachelor until well into his thirties, sharing a home with his mother. Then he fell in love with Marie-Laure Truffot, the young sister of one of his students, and married her in 1875. The couple had two sons, both of who unfortunately died in infancy. The terrible loss deeply affected the couple and their marriage collapsed. He eventually separated from him wife. After the breakdown of his marriage he never became involved with any other woman. In his later years he sought solace in the company of his friend and former pupil, Gabriel Fauré, and his family. He died of a heart attack on 16 December 1921.